Rob Olin has held a number of corporate positions including radio announcer, marketing director for Georgia Tech’s athletic department, and his own public relations and marketing company. 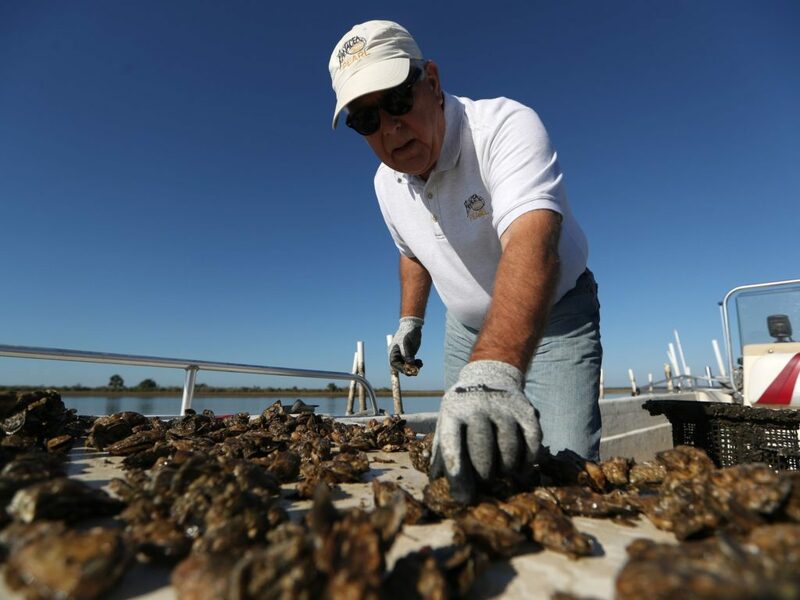 However, when he decided that he would attempt to start an oyster farming business in the Wakulla Bay, he was not sure that any of his previous positions prepared him to step in unchartered waters. Seeking help, Olin turned to the Florida SBDC at Florida A&M University, a member of the Florida SBDC Network, for assistance. There, he worked with his consultant Keith Bowers on his business plan, cash flow, and to conduct the necessary research to support his business model. With help from Bowers and the Florida SBDC at FAMU, Olin was approved for a $250,000 SBA loan to fund start-up activities and working capital for his company, Estuary Oysters, by the first lender he approached. He has successfully leveraged those funds to build a business that has the potential to gross more than $2 million over the next three years. Olin is just one of thousands of aspiring and existing small businesses who receive assistance from the Florida SBDC Network each year. State designated as Florida’s principal provider of business assistance, the Florida SBDC is a statewide service network of more than 40 centers hosted by the state’s leading universities, colleges, and economic development organizations. As part of the network’s service offering, the Florida SBDC provides aspiring and existing small businesses with the expertise, resources, and tools to grow and succeed. On Wednesday, March 21, 2018, the Florida SBDC Network will join SBDCs nationally to celebrate the second annual SBDC Day. SBDC Day is a national movement to help raise awareness about the service offering and impact of America’s SBDCs – the U.S. Small Business Administration’s (SBA) largest business assistance program. With nearly 1,000 centers across the country, SBDCs provide assistance to small businesses and aspiring entrepreneurs throughout the United States and its territories. In 2016, America’s SBDCs provided 1.24 million hours of consulting to 188,602 client businesses, resulting in 96,095 jobs created; $6.4 billion in sales growth; $5.16 billion in capital investments; and 17,174 new businesses started. In Florida, the network has delivered substantial economic impact since its inception in 1976. An easy way to participate is through the use of Thunderclap, which posts a one-time message to a user’s social media account of their choice on SBDC Day. To learn more, and to pledge your support, please click here. Small businesses, stakeholders, partners, and advocates are invited to post a picture on social media using the “I Love the Florida SBDC Network Because” flyer. Small businesses, partners, and advocates are invited to help spread the word about SBDC Day and the impact of their local Florida SBDC using the hashtag #SBDCDay leading up to and on March 21. Small businesses, partners, and advocates are also encouraged to contact their local Florida SBDC to learn about upcoming workshops, special events, and other opportunities to join the celebration. To view pictures of our clients, staff, stakeholders, partners, and supporters who celebrated with us last year, please click here.